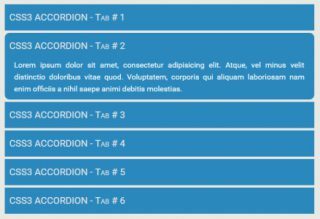 Here is a list of 10 accordions that I have chosen on the basis of their small code size and thus have fast loading speed. In spite of small code size, all have very good smooth sliding effects. Horizontally expanded CSS based Accordion image slider. Compatibility: Does not supported by IE 8, 9 and Opera mini 8. Compatibility: Excessively use -webkit-transition which is only supported by webkit browsers including chrome, safari, opera etc. 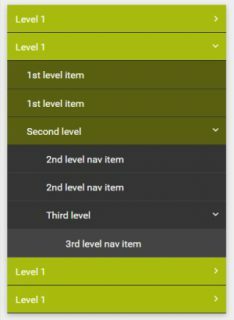 Simple HTML5 / CSS3 based multilevel accordion. Compatibility: Supported by all browsers except IE 8, 9 and Opera mini 8. 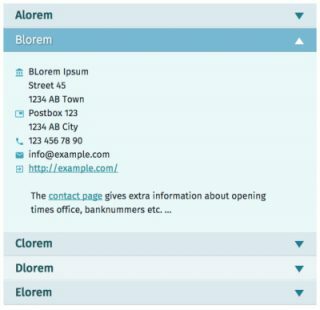 This accordion deploys label + radio and label + checkbox combination for toggling panels based on whether multiple slides or panels can be open simultaneously or not. It uses CSS3 transitions to execute smooth animations for opening / closing functions. Compatibility: IE 8 and Opera mini 8 does not support it. 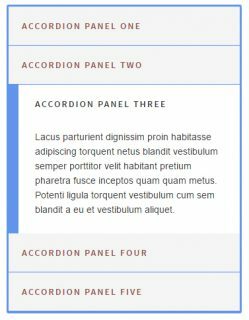 It is a fully responsive accordion module. You can toggle content panels smoothly and it also has better text zooming effects. 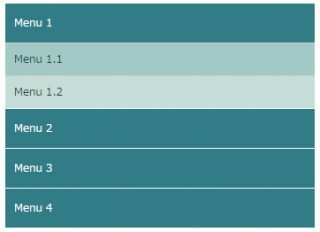 It is a CSS3 flex and transition based slider which executes sliding animation and expands current panel on mouse over.